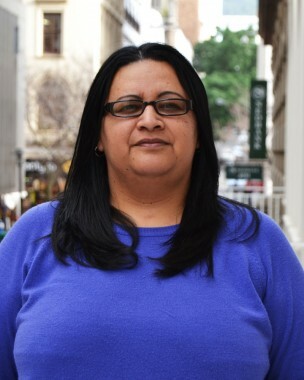 Nazmonesa Altensteadt (Naz) joined Sonke’s finance department in January 2009. She has been working with finances in the NGO sector for a number of years. She was with PPASA most recently and before that worked for the Resource Action Group (Rag) for seven years keeping the books and providing training on bookkeeping systems. Naz is a relaxed fun loving person who relates well to others. She is optimistic in all circumstances and is solutions focused. Naz is Cape Town born and bred and is passionate about the city. She hosts many friends and family members from all over the world and loves nothing more than showing off our beautiful country. Between her busy work schedule and her vibrant social life there are some precious spare moments. During these times she enjoys swimming and spending leisurely hours on the beach.